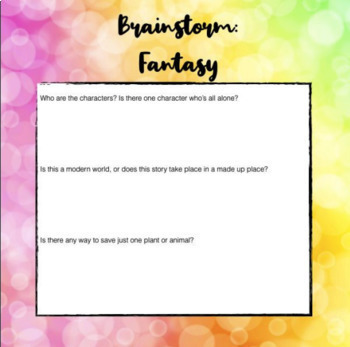 This resource contains three creative writing prompts—fantasy, dystopian, and horror—with space for the students to brainstorm and write their stories. 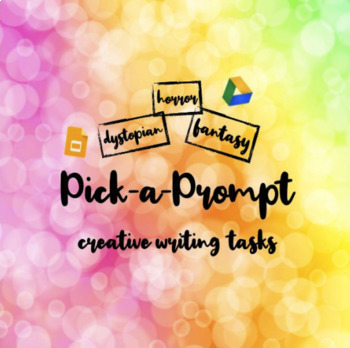 The students can choose which prompt to write a story about, and the ones they do not choose the first time can be assigned at another time. 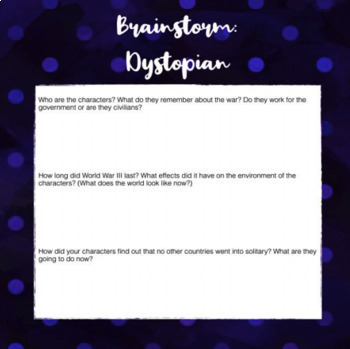 You can use this resource as an in-class writing assignment, writing assessment, or homework. 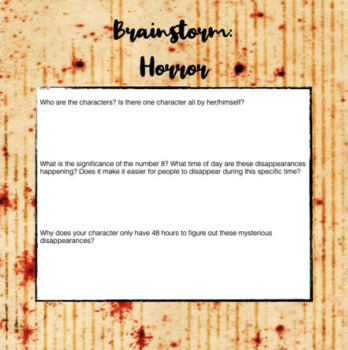 I've included paper in the Google slideshow if the teacher wants to print this or insert text boxes for the children to type in.